Incredible opportunity for investors!! Incredible location!! This historic property features three separate units. Unit A is a three bedroom, two bathroom. This ground floor unit boasts a spacious kitchen and large bedrooms. The second floor unit is two bedroom two bathroom. Unit B boast a private covered porch area and split floor plan. The top floor, unit C, is a three bedroom one bathroom. Highlights of this one include a galley kitchen and a huge sundeck. Heart of pine floors, washer/dryer, dishwasher, and high ceilings are some of the features throughout the building. Off Street parking is available for up to five or six vehicles. This property is in an excellent location, just two blocks away from MUSC and a short walk to College of Charleston. The units are continuously renewed by tenants. 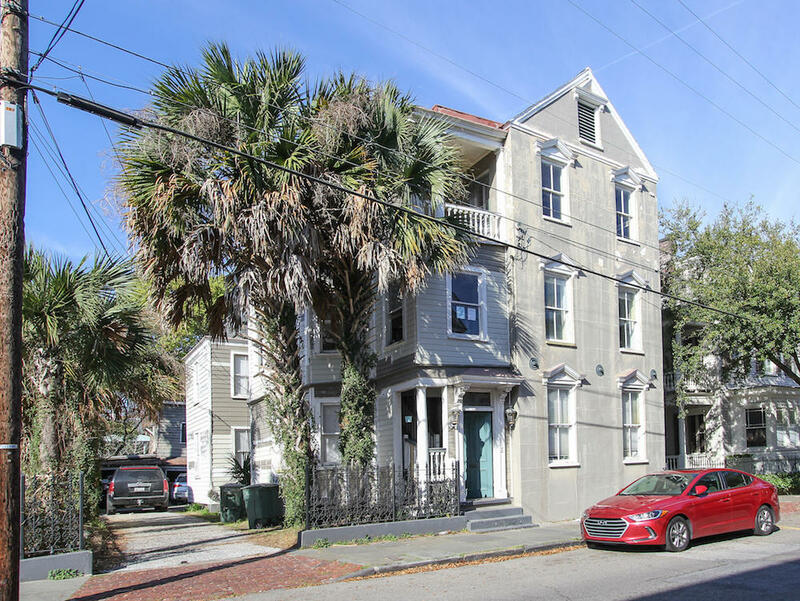 Do not miss out on the opportunity to own this cash flowing triplex in the heart of downtown Charleston!